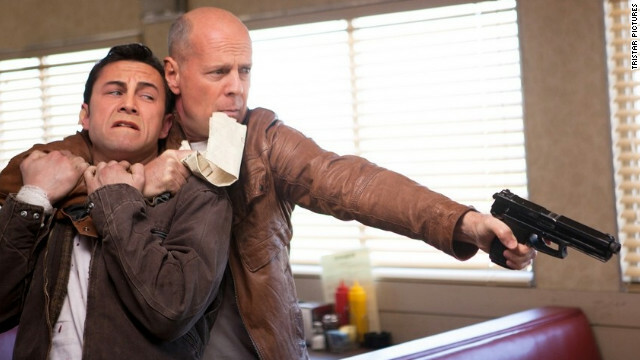 This month for my blind spot pick I took a look at the 2012 sci-fi film Looper. To see the rest of my blind spot picks go here. I wanted to pick this movie because I’ve heard good things and director Rian Johnson is doing Star Wars: Episode VIII. I was curious to see if I’d get anything for his style of what was coming to Star Wars and I don’t know that I actually got that but it’s still a decent sci-fi film. It’s really more like Terminator than Star Wars. 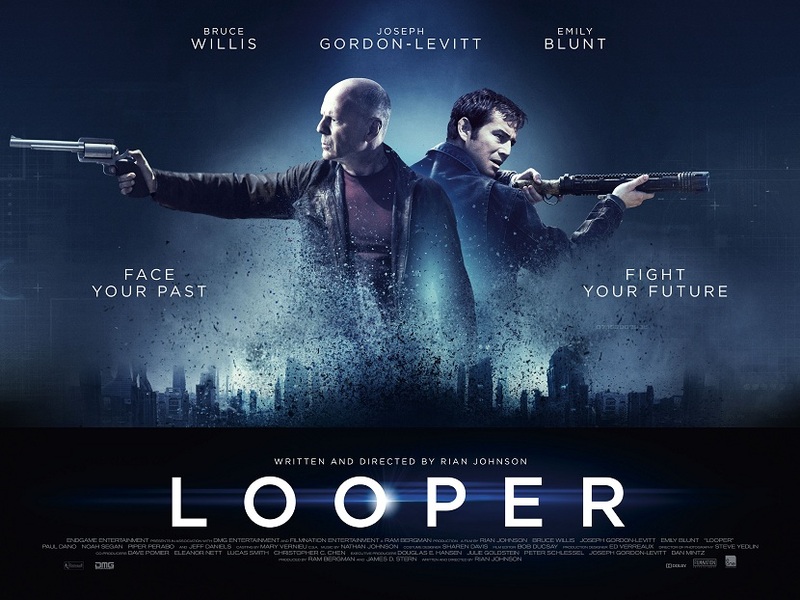 Looper is a time travel story about a futuristic society where time travel hasn’t been invented yet but it will be invented in the future. The creative twist is the future uses time travel to send criminals to the past and loopers kill said criminals. They do this until they are forced to kill their future selves and their careers are over. Joseph Gorden Levitt plays Joe a looper who has stashed his silver so he can live a good life when his days as a looper are over. 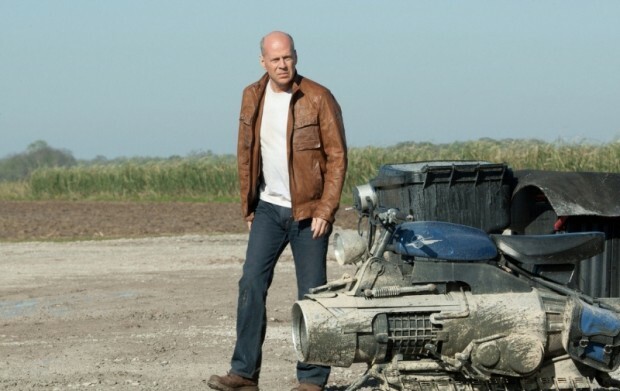 Then one day he meets his future self (Bruce Willis) but is beaten up and old Joe flees. He then begins a cat and mouse chase with the crime syndicate that runs the loopers and his future self. I don’t want to give any more away but trust me there is a lot more going on. It is a very original story that flows nicely without any obnoxious twists or trickery. On the whole I enjoyed it very much. However, at first I had a few issues. It was leaving me kind of cold and I think the best sci-fi should stir emotion. It shouldn’t feel rote and mechanical. The violence felt impersonal and strong and I wasn’t bonding emotionally with young Joe. There is a moment where we bond with old Joe but I was still feeling kind of cold and distant. And then we meet Emily Blunt’s character Sara and I think that really turned it around for me. She is carrying for a little boy and she really brought the emotion I had been looking for. She was so good in the role and I finally felt like young Joe wasn’t a robot any more, but a real person with feelings. It’s also a really grounded, normal looking scifi movie. There are hovering bikes but that’s about it as far as world-building. I know this only had a $30 million budget but I kind of wish they had done a few more creative touches to change the world- make it a little more inventive and different from our own. Also Joseph Gordon-Levitt’s nose prosthesis to make him look more like Bruce Willis didn’t really work for me. It always looked like make-up and I didn’t think he looked anything like Bruce Willis. But aside from those flaws you have a very original sci-film with a creative premise and story. Particularly in the last act it has something to say about the paths we can go on in life. How one action can take us on a completely different trajectory than another. The acting is good throughout and the brutal violence is well staged if you like that kind of thing. So, yes I had a few little issues but I’d definitely recommend Looper if it sounds like your kind of film and you can handle the R rated material. 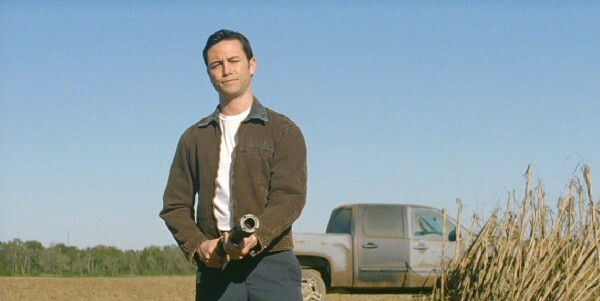 What do you think of Looper? Is it a favorite of yours?